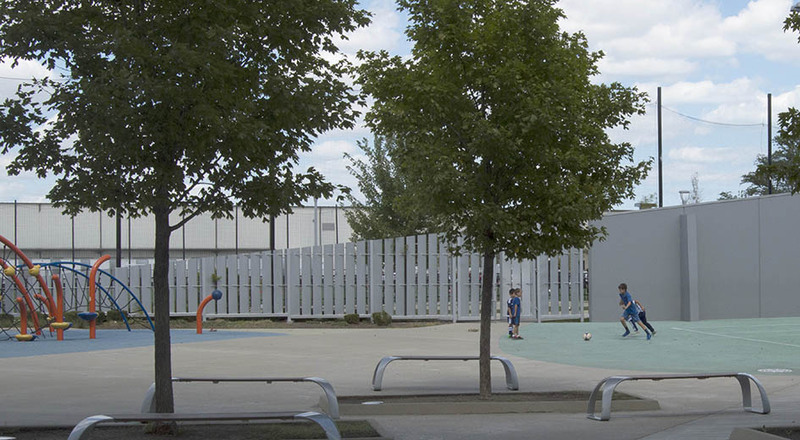 TGDA worked as part of a design/build team on the first phase of a future UNO Charter School soccer academy campus. 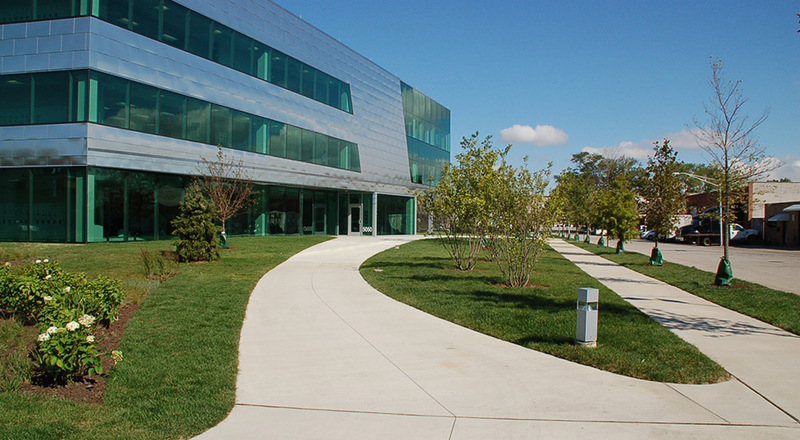 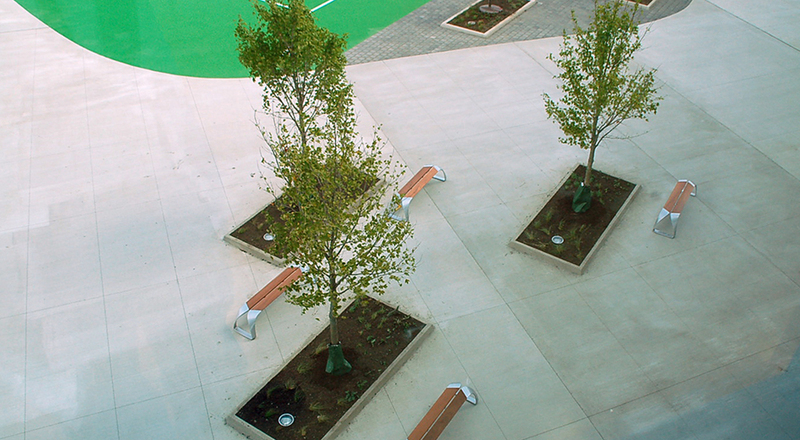 TGDA was responsible for the planting and hardscape design of the initial 3-acre site, including a 22,500 SF courtyard area. 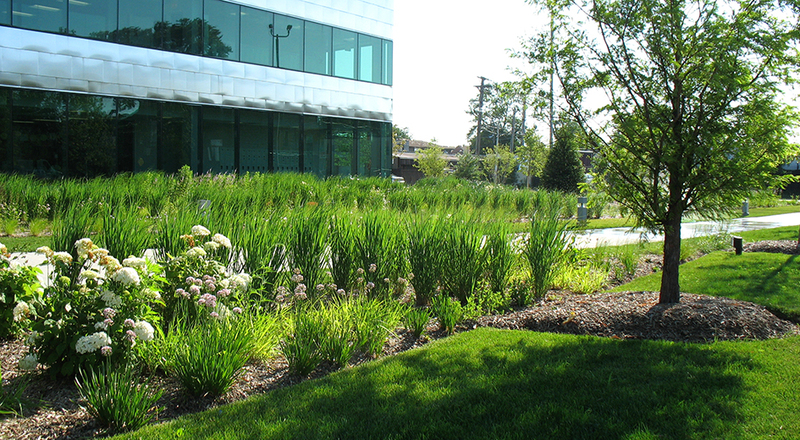 Several large perennial planting beds are featured on the site, most notably as a part of the entry approach, integrated with slightly curved walkways. 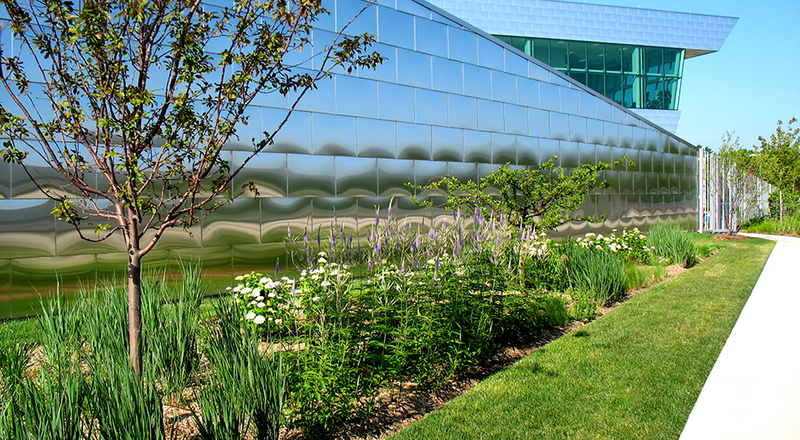 Certain plants were selected for their architectural-like form when viewed on the ground plane and patterned in such a way as to create contrasting textural forms when viewed from inside the school, at all times of the year. 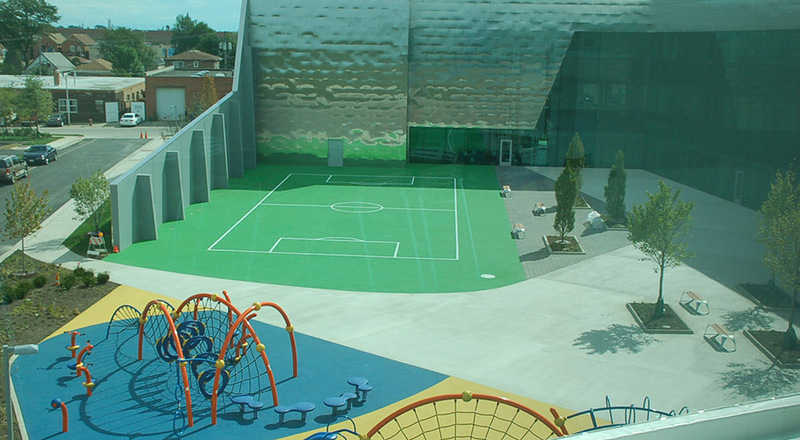 The courtyard was designed to allow for a small-scale rubber surface soccer field and playground equipment, while allowing enough open space for children to engage in free play and organized events. 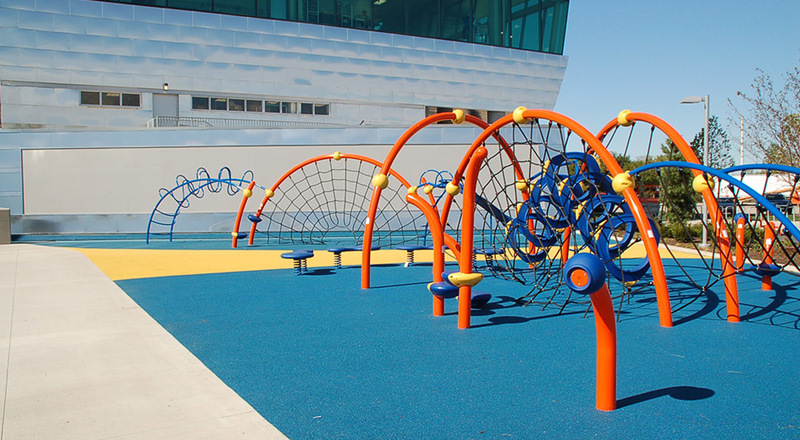 Various surface materials and patterns provide cues for circulation and use. 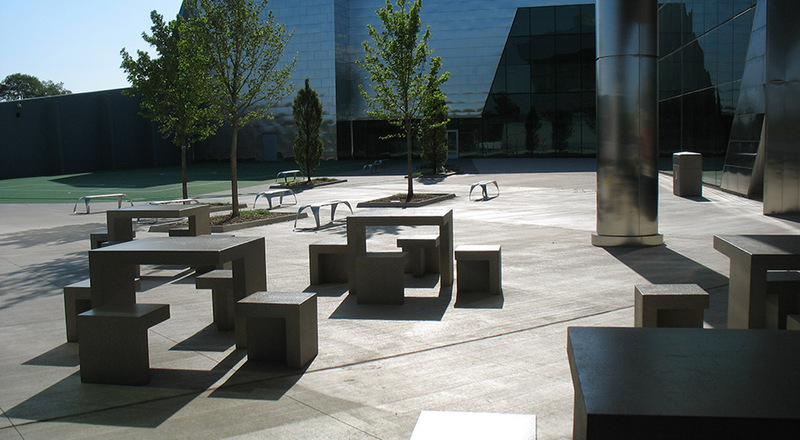 Six planters with trees are scattered in the courtyard, adding dimension and shade to the space.